Who says a ukulele badass can’t play pretty stuff.. at least once in a while? 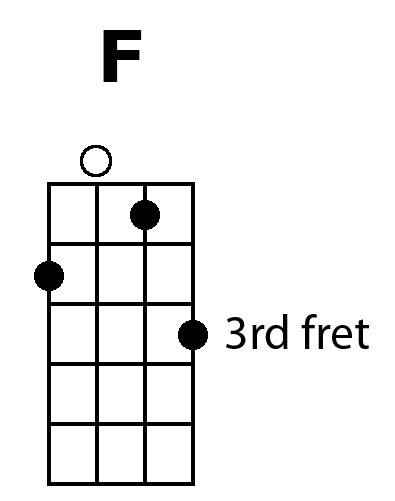 Here are some different chord voicings, or inversions, plus some ideas to ‘pretty up’ the basic C F G chord progression, otherwise known as the I IV V (1 4 5) progression in the KEY of C. C is the I chord, F is the IV chord and G is the V chord. First some chords, then ideas. BTW, videos are at the bottom of the page. 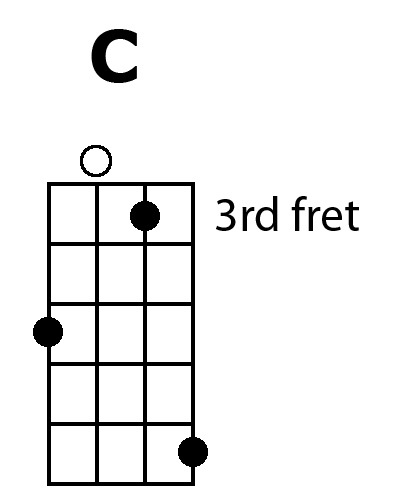 CHORDS: These chords have a really nice continuity as they all have the C string open. 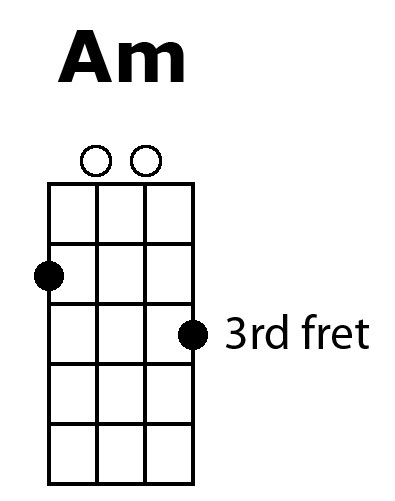 I’ll throw in an Am voicing (VI chord) because it is very close to the F chord. They are played like triads with the open C as the glue between them. 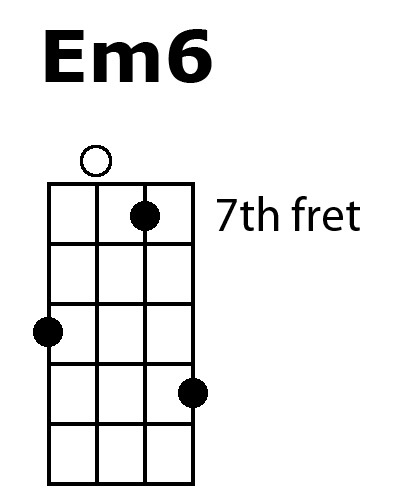 Pay close attention to the fret markers. Playing them this way makes it easier to switch between them. 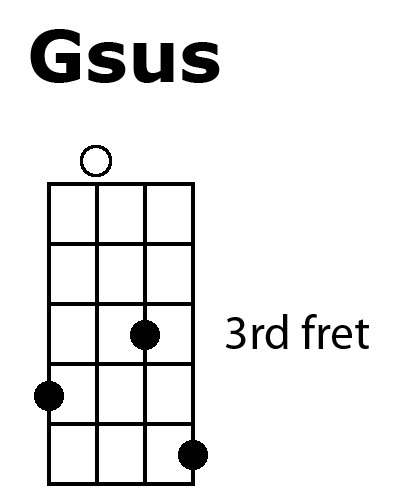 BONUS CHORDS: Here we ascend from the original C voicing and head for celestial realms. The Dm7 is the ii chord, the Em6 is the iii chord and here is another F. Again, pay attention to the fret markers. Honestly, this pattern of triads can continue for as many frets you have. IDEAS: We all know there are thousands of songs in the key of C. Here are a few to play with using these voicings. Here is the video tutorial so you can hear what it sounds like. And here is the original song I wrote a few years ago using these chord forms. The actual chords mentioned in this tutorial begin around the 48 second mark. Also note, if you follow this blog, I am using the Folksy Fingerstyle technique. I came across this a while back on an Italian blog and it has given me great entertainment once I figured out the secret. It is deceptively simple, and gives the appearance of being simple, but the ears hear a lot more than the eyes see. This was coined the ‘index and pinky strum’. I hear a triplet in there so I am lumping it in with my triplet strums category. DISCLAIMER: I usually don’t like to put something out there that has already been done but I think my slant might help simplify it some. As you see in the video, it really is a triplet. Index down, index up, pinky up. Repeat. POINTERS: I only strum the top two strings with my index and the bottom two with my pinky. This can vary and by all means, don’t try too hard to do that. It will work itself out. Those are the basic mechanics of the strum. THE SECRET: Don’t try to be accurate with the index down, index up, pinky up, etc, etc. Instead… be sloppy. The technique or concept I used to get better at this is pretending I spilled hot water on my hand and I’m wringing it furiously in pain and trying to get the water off. This means the right hand is going up and down in an effortless and RELAXED manner. And fast. Thanks to Bob Guz for showing me the chord progression I use to demonstrate. He played in the Shorty Long band and said this was the basis for tin pan alley sound. It’s fun, too.